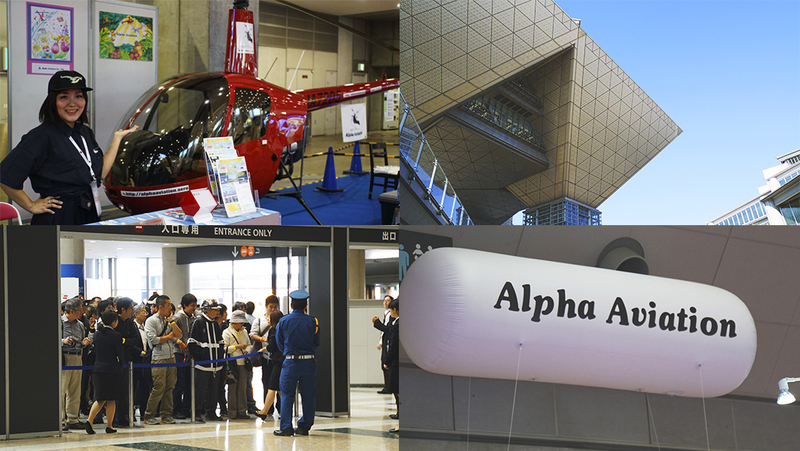 From October 12th to 15th, 2016, the 14th Japan Aerospace Exhibition was held at Tokyo Big Sight. More than 700 hundred companies were represented at this event, and the hall was filled with more than 40,000 attendees, making it the largest event of its kind. 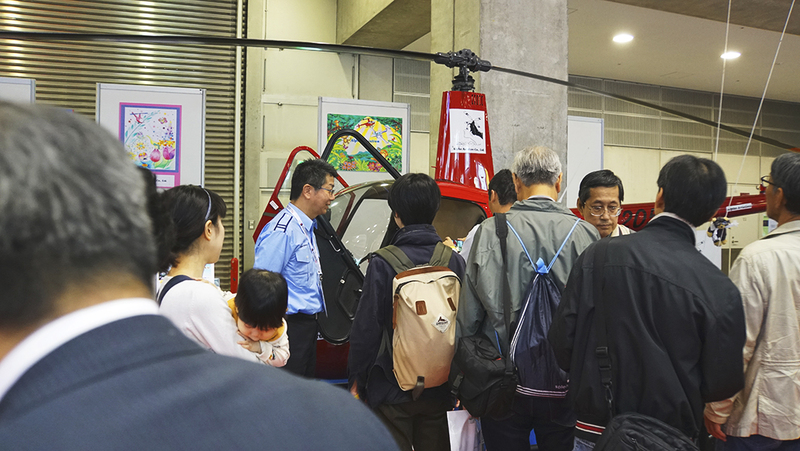 The Robinson Helicopter is one of the most familiar aircraft in Japan. 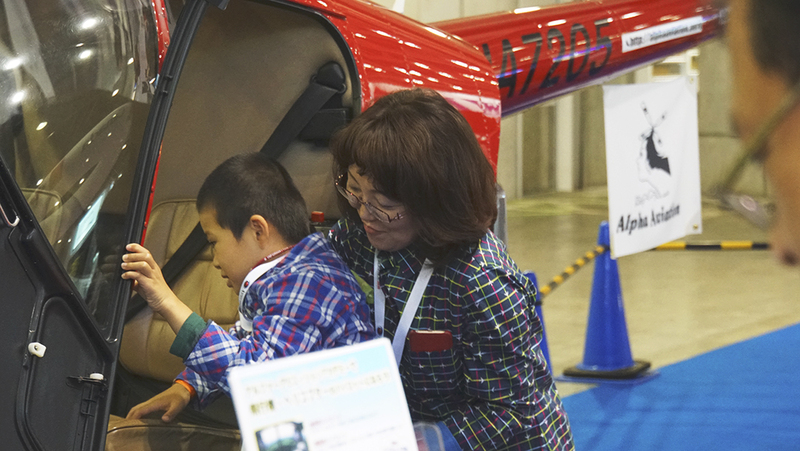 A lot of visitors already had flight experience with the R22, and they were thrilled to see the beautiful airframe again.The R22 changed people’ s imaginations of what operating a helicopter entails. Most people thought that operating a helicopter would be very difficult. The visitors who enjoyed their first ride with the R22 said that the R22 is very compact and much more familiar than they their preconceptions of what this helicopter would be like. For decades, the Robinson Helicopter has been the number one helicopter for making dreams come true for young pilots! As you can see, Alpha Aviation and Robinson Helicopter both enjoyed great success with at this event. It was exciting to see the keen interest of so many in the aircraft itself, along with the engine and operation. Alpha Aviation brought the Robinson R22 into the booth and held an information session. Only a few companies displayed a real aircraft at this event. 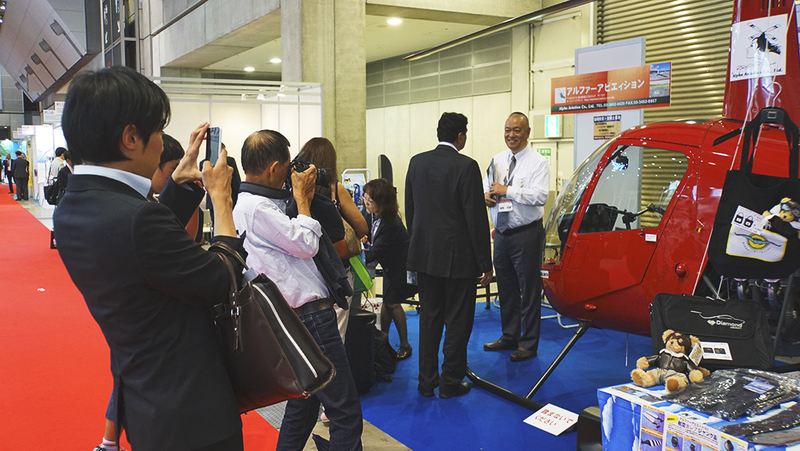 A huge number of people, including pilots, aircraft fans and families stopped by the booth to see the R22 up close. Many young people were attracted to the R22 and very excited to experience their first helicopter flight.